The Easy Way to a Healthy, Vibrant You! 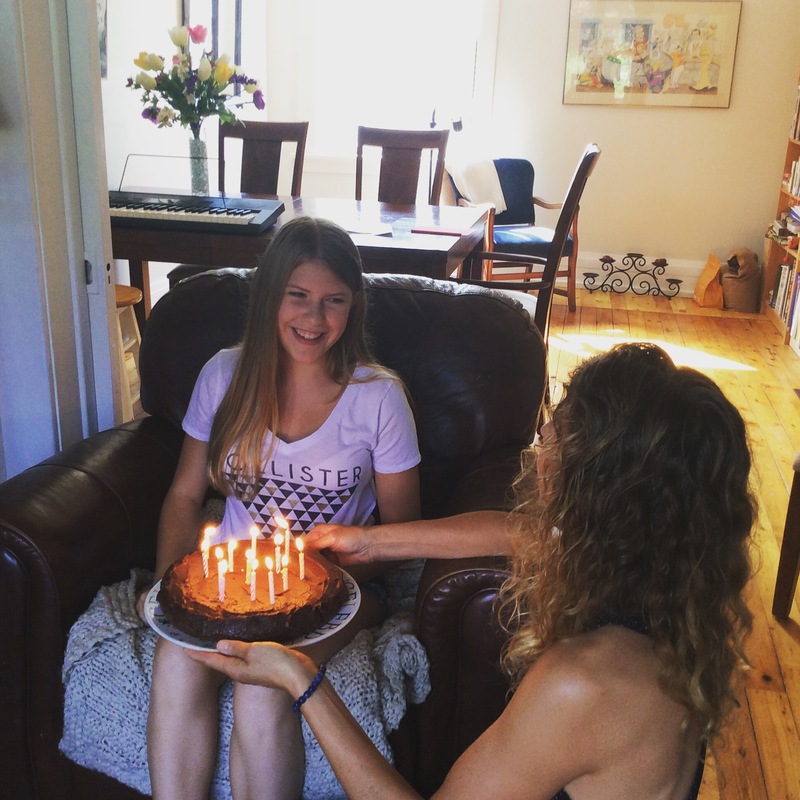 Today is my daughter’s 13th birthday! Woohoo! Another journey with a teenager. I am not sure if I am ready for it but what is a mom to do? Celebrate with chocolate cake, that’s what we do. We had my family over on the weekend to help celebrate. 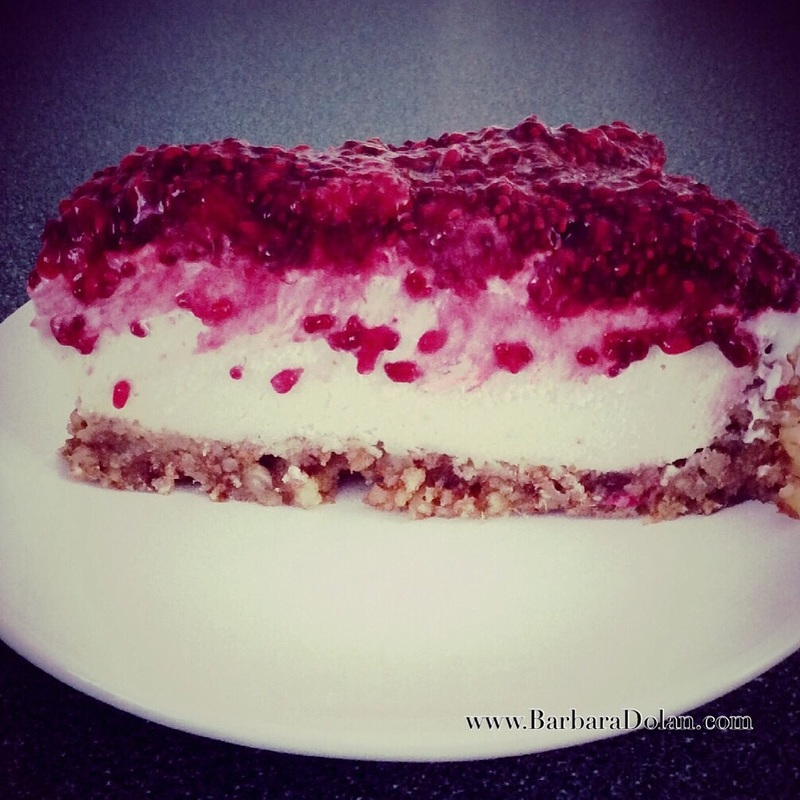 When making a cake for my family, I need to consider gluten-free, dairy-free and egg-free. I had chickpea flour on hand and did not have time to go out to get brown rice flour and such so I decided to make the chickpea flour work. I mixed it up with baking powder, baking soda, salt, coconut sugar and cacao powder. I considered that chickpea flour is quite dry so to avoid a dry crumbly cake, I soaked some flax seed (as if I was using and egg) and shredded a zucchini (who doesn’t have tons of zucchini right now?!). I wanted a rich tasting chocolate so I took my best bar of dark chocolate and melted it. Organic, 85% cacao . Still thinking about the chickpea flour being dry, I thought that I would use olive oil. It makes a very smooth pesto so why not a smooth, creamy cake? I was worried about the flavour of olive oil taking over but then I considered that the chickpea flour flavour is also strong and so is chocolate so I decided that the flavours would likely blend together. I put all the liquid ingredients in a bowl (minus the water) with the zucchini and flax and mixed them together with my hand blender to create a smooth mixture. This I added to the dry ingredients and then slowly added the water to get the consistency of a thinner muffin batter. Once baked, the cake was beautifully high and I was exited! Unfortunately, it did slowly fall. I know that there is a scientific reason for this but I am not sure what that is. To make it a true birthday cake, I made an icing with cashews. I put all of the ingredients in the food processor and in a few minutes I had heaven. I put this on top of the cake and all around. 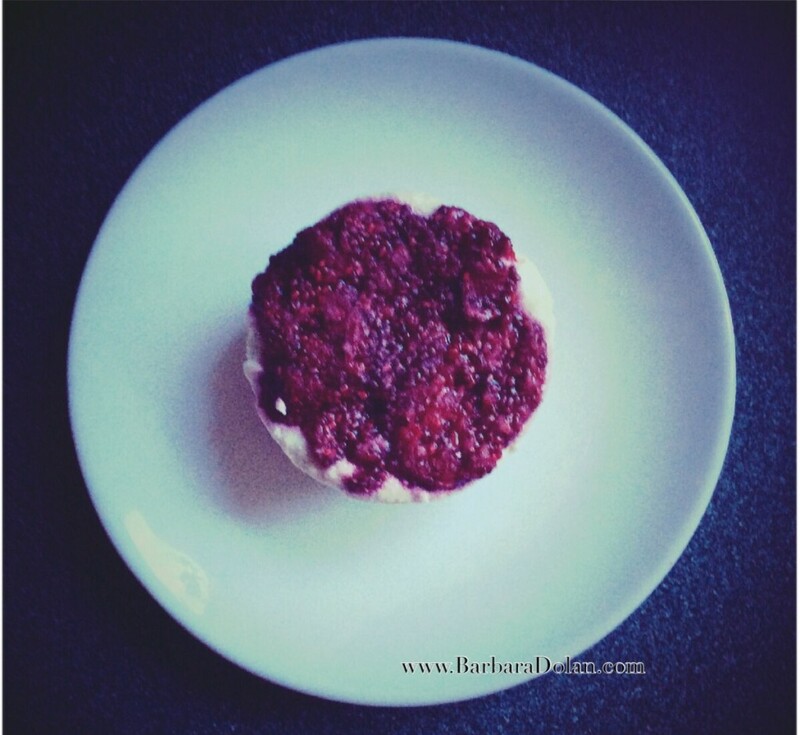 When I served the slices, I put a dollop of raspberries (defrosted from the freezer) and a little touch of the raspberry juice on each one. p.s. 9 of us ate the entire cake! My brother eating most of it. HeeHee! Thanks for reading! If you enjoyed this post, please subscribe and join me on Facebook, Twitter or Instagram. This is a rich delicious cake that will please every palate. I promise. Remember to use organic ingredients whenever possible. Prepare a 9" cake pan with parchment paper or greasing. In a small bowl, place the ground flax and the water. Stir and let sit to absorb. In a large bowl, combine chickpea flour, baking powder, baking soda, salt and cacao powder. If you are using a dry sweetener, add it to this mixture. Shred the zucchini in a separate bowl. To the zucchini, add the flax, melted chocolate, vanilla and oil. If using a liquid sweetener, add this now. Mix until smooth. 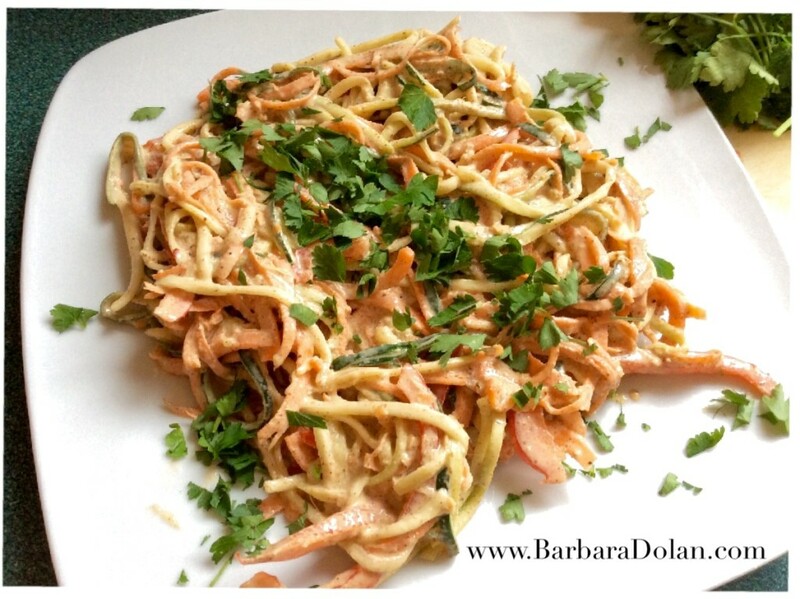 You will find it helpful to use your hand blender for this. Add this mixture to the flour and stir until combined. Add the water, ½ cup at a time until it is smooth. Consistency should be thinner than muffin batter but not runny. Place in a 9" cake pan and bake 25-30 minutes. The cake will rise up and look fluffy. Be prepared for it to fall and be a short cake. Doesn't change the taste though! While the cake is baking, make the cashew icing. Place all ingredients in your food processor. 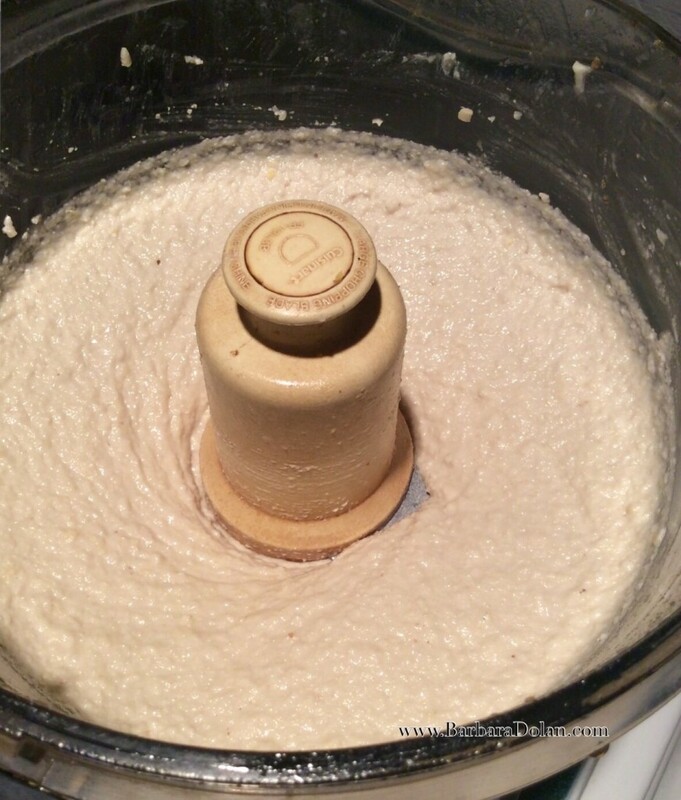 Start by pulsing until the mixture starts to break up. Then process for a few minutes. You may need to stop the processor a few times to scrap down the sides. Continue processing until it is smooth. Put in the fridge for about 30 minutes to firm up. Now it is ready to spread around the cake. My son got himself a GoPro. I had never heard of a GoPro but I now know that it is this cool little video camera that has all kinds of features. He said that I could use it to make a video in the kitchen. Awesome. I have only done one other video before, that is about what I typically eat in a day. Check it out here. It was made not long after my head injury. 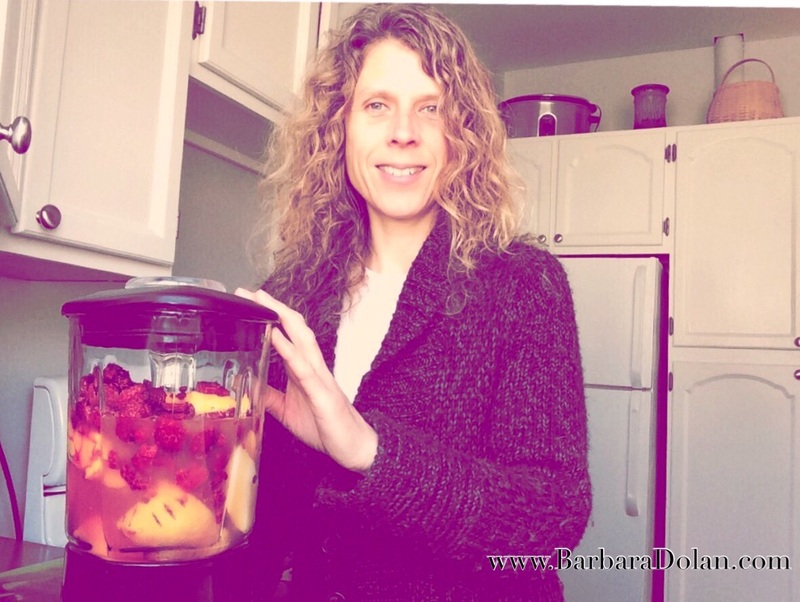 I decided to make a short video for you; showing you how I make a smoothie in the morning. Very, very simple. I was rather nervous and so I am not my usual smiley self! With practice, I will get better. Watch it here. The measurements for the ingredients are all listed below. I forgot to mention that adding your favourite flavours is a great idea. 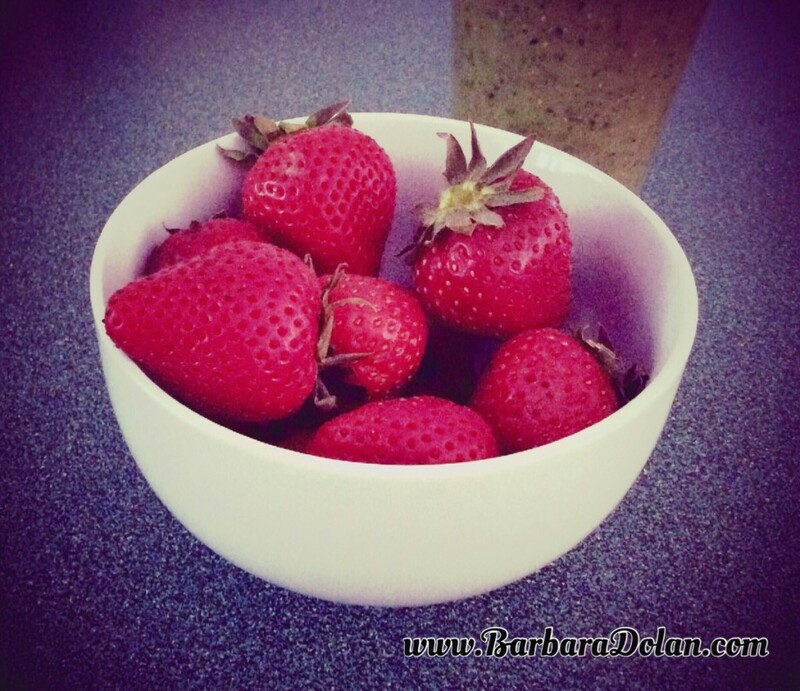 This is a very simple smoothie that can easily be modified to suit your tastes. Choose organic ingredients whenever possible. Before you hop in the shower, put your chia seeds in your blender and cover with water to soak. Once you are ready, put all ingredients in the blender. Pour and enjoy until you feel full. Save the rest for later in the morning. My youngest daughter desperately wants to go to Starbucks. The closest one to us in Collingwood, which is about 1 hour away. I refuse to take her. Why? What is the big deal? Well, I disagree and I will tell you why. Starbucks is owned by PepsiCo. PepsiCo has spent $4.8M to keep you uninformed about GMO foods. $4.8M! That is a lot of money. They, and many other big companies, have Monsanto’s back and want to make sure that you do not know what is in your food. They also want to make sure that there will be no labelling of GMO foods as well as legalizing labelling GMO foods as ‘natural’. We are not allowed to know what we put in to our body. Yikes! I will not support that. No way, no how. There are other big companies who are putting money into this as well, over 300 of them. Scary stuff, wouldn’t you agree? To view a short list of companies who are members of the GMA (Grocery Manufacturers Association-Monsanto’s Evil Twin) go here and look on the right side, near the top of the page. There is a small link. You will be surprised which companies you see there. Do you get what that means? It means that people who think that they are doing the right thing by buying organic and natural products are sometimes being duped, tricked. That really angers me. Here I am, doing what I think is the best for my family and some rich, nasty company is buying up little organic companies, vying for my business and putting that money towards the GMO business. Oh no. No, no, no. I am not going for that. I am educating myself. I am making as much from scratch as possible. I am not falling into their trap. I have signed a petition to show my support to companies who are creating foods that are real and are good for me and my family. You can too. Go here. Our motto for Monsanto and GMA products must become: Don’t buy them. Don’t sell them. Don’t grow them. And don’t let your financial institution, university, church, labor union or pension fund invest in them. Do your part and sign the petition. Do your part and refuse to buy products from these companies. You can truly make a difference. Learn more about the Boycott List here. There is excellent information on the site about how to avoid GMO products. My suggestion is to eat from the Earth as much as possible and avoid prepared foods. 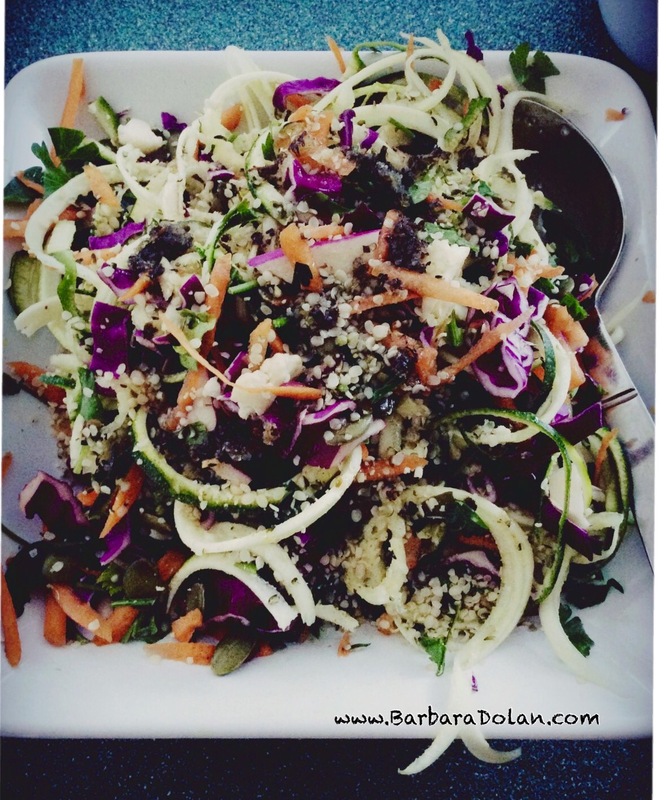 You have the power to feed your body what is best for it. Make a choice. Choose for you. I enjoy desserts that are delicious in flavour, not in sweetness. I would rather have a juicy piece of fruit than say, a doughnut with icing. 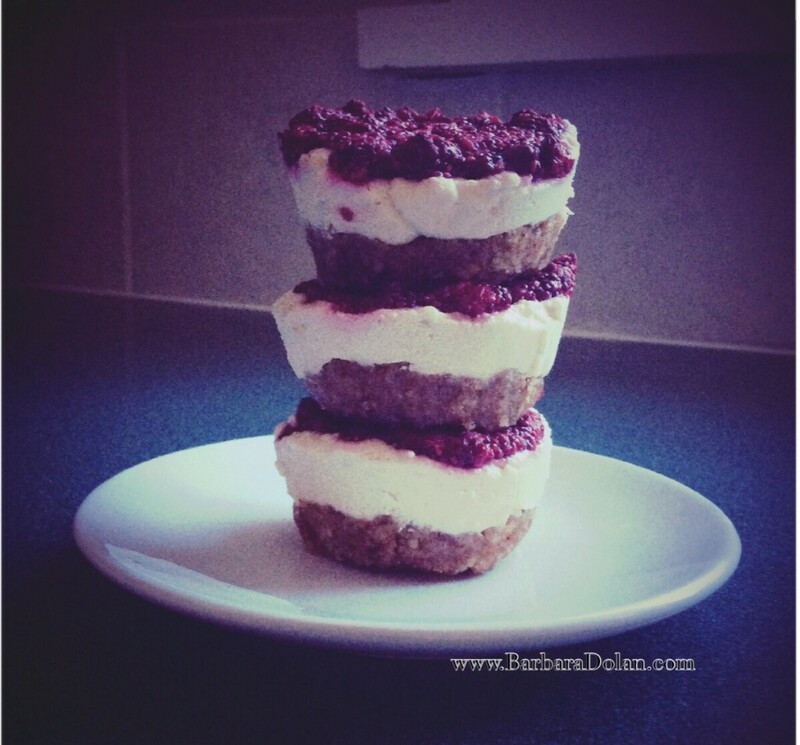 In order to please myself with a dessert that I would love, I made this recipe this past weekend. We had a holiday on the Monday (Victoria Day here in Canada) and I thought that I would make something special. I made it as a cake in a springform pan rather than the individual cakes that I will show you today. We ate it all up with smiles on our faces, longing for more. Since I did not photograph the initial process, I decided to make the recipe again. Last night, after work. This time as individual cakes. I organized myself in the morning by soaking the dates and the cashews and putting the coconut oil in bowl, ready for the warm water bath. 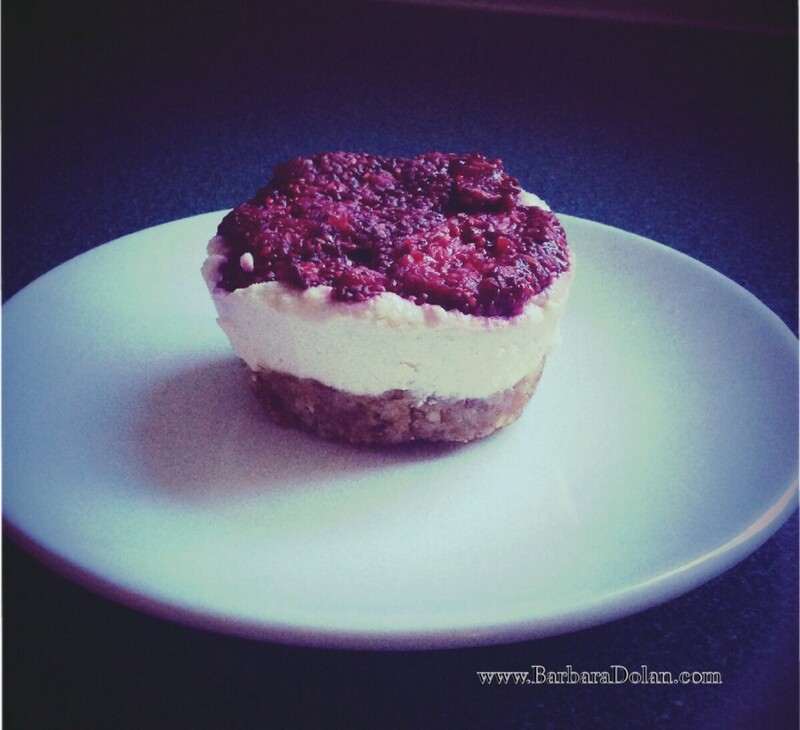 I also took the raspberries and coconut meat out of the freezer. I worked the evening and did not arrive home until 8:30pm. I started preparing the cakes and by 9:30pm, the delicious treats (and photos) were complete AND I had tidied up! Not bad, I say. Remember to use organic products whenever possible. 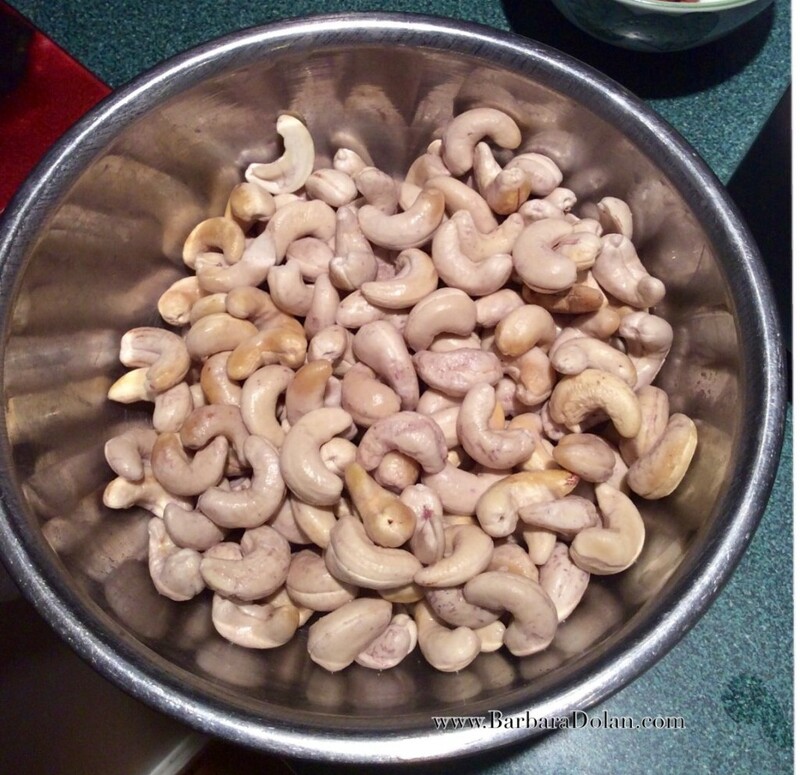 Begin by soaking your cashews in water. 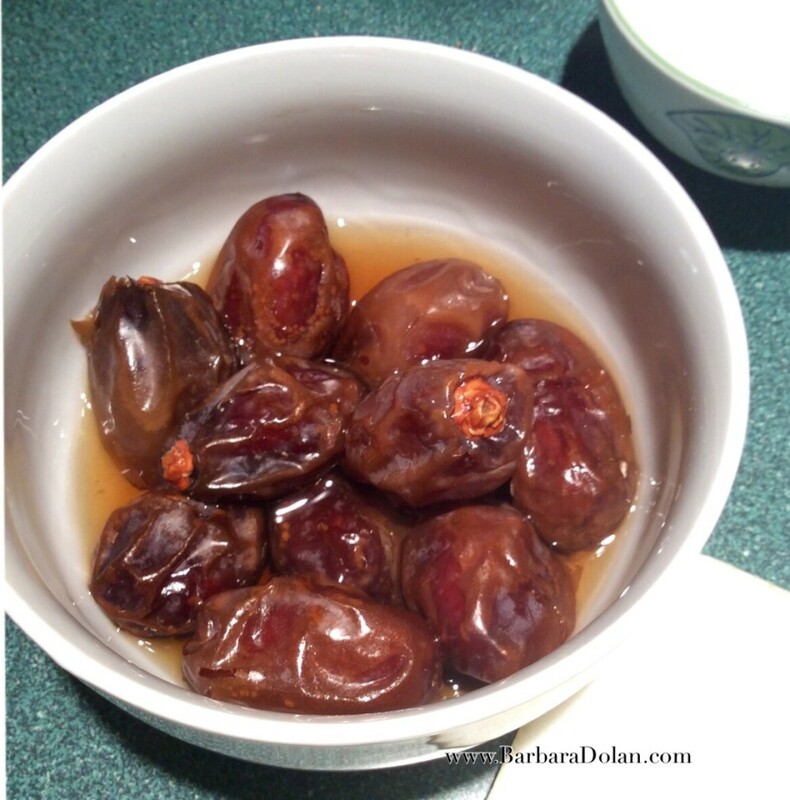 Next get your dates soaking. 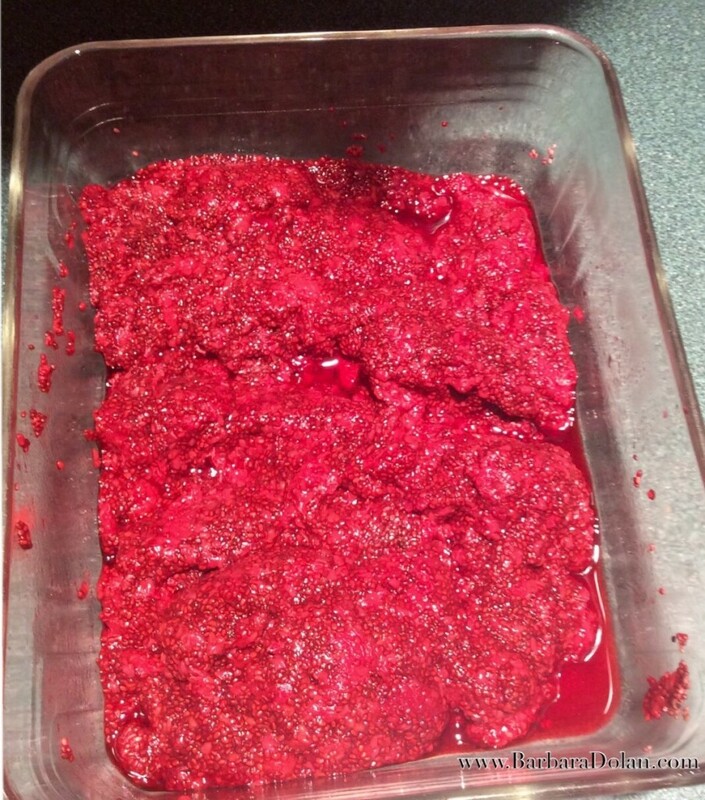 Add the chia seeds to the thawed raspberries, along with the juice from the raspberries. Put this mixture in the fridge to allow it to thicken. Set out the coconut meat to thaw. A word about the coconut meat. I used an unpasteurized, organic, frozen coconut meat. This was my first time using the frozen meat. It really added to the flavour of the creamy filling. It is full of electrolytes and antioxidants and is so healthy for you. It is a little on the pricey side but I think that it is worth it. …add the dates (drain them first) to bind it all together. Get out your muffin tins and put a bit of parchment paper in each. This will make it easier to get the little guy out when you are ready to enjoy it. Make balls of the dough and flatten them out by hand. Put them in the bottom of each muffin tin. Now for the filling. Are you excited yet? I am! 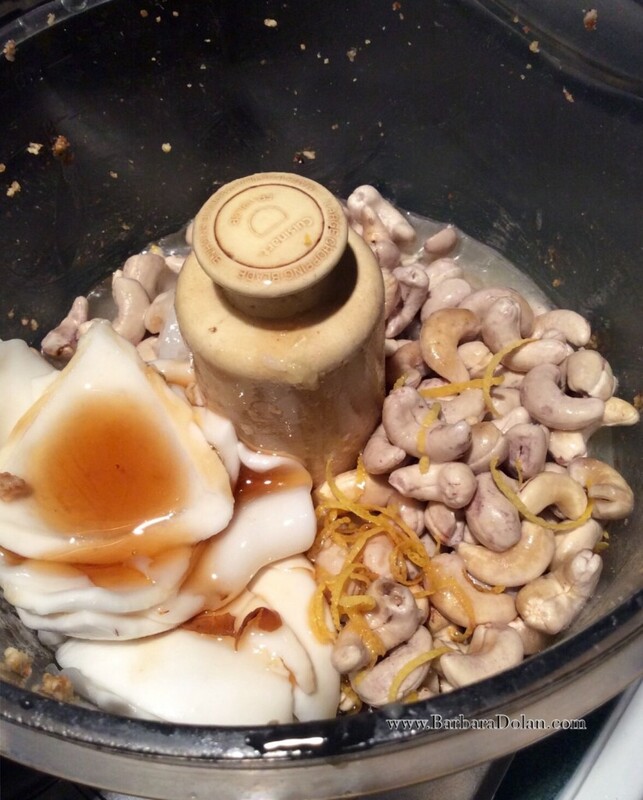 Drain the cashews and put them in the food processor. I don’t bother to clean out the processor. Let’s keep it simple, shall we? Add the remaining ingredients: lemon rind, lemon juice, melted coconut oil, coconut meat, maple syrup and vanilla extract. Process this until it is smooth and creamy. 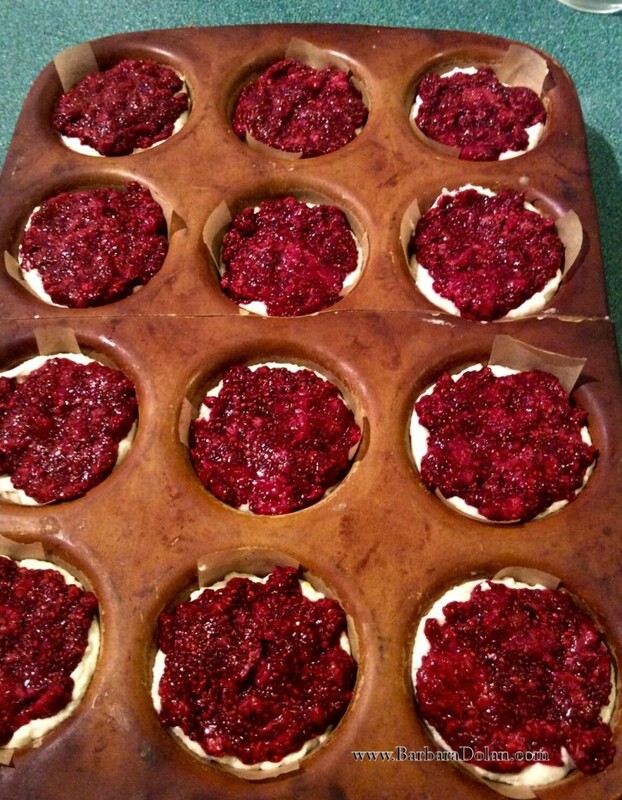 Scoop on top of the crusts in your muffin tin and top with the raspberry sauce. Place in the fridge to firm up. This is a refreshing, delicious dessert that can easily be made into a round cake in a 8 " springform pan. Switch the raspberries for other fruits that you like. Get organized the day before you want to make this. Thaw the raspberries, soak the dates and cashews. Add the chia to the raspberries. When you are ready to start, it will be a swift process. 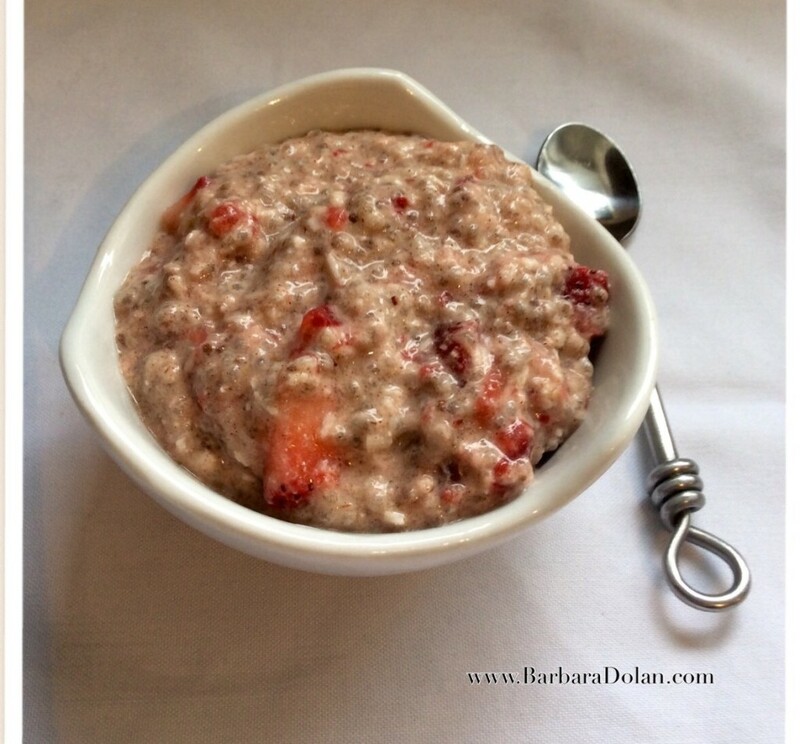 Place the thawed raspberries, along with their juice in a bowl and add the chia seeds. Stir together until well combined. Set aside in the fridge, to allow the mixture to thicken. May be done ahead of time and kept in the fridge. Place the coconut oil in a bowl and put this bowl in a bowl with hot water. Set aside to let the oil liquefy. 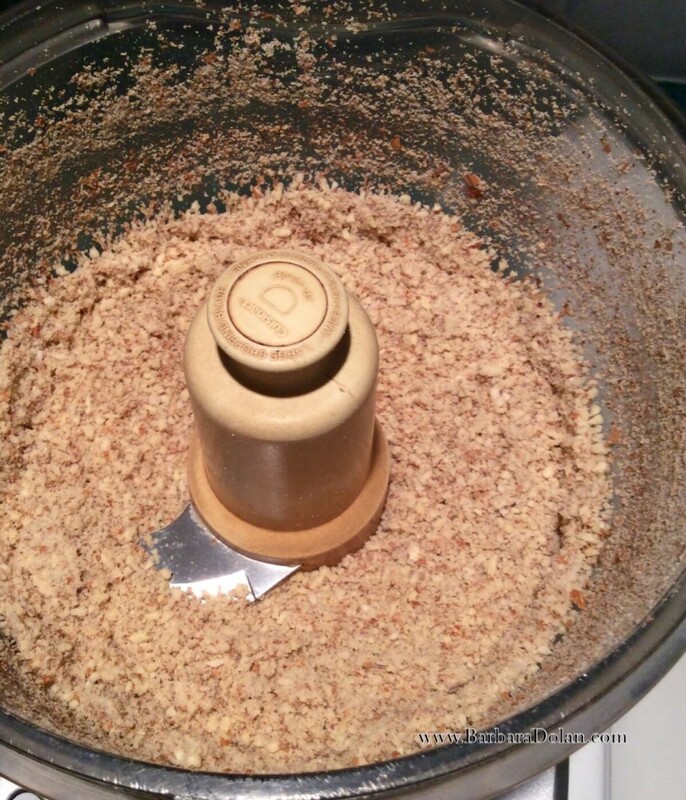 Grind the almonds in a food processor until it resembles a fine meal. 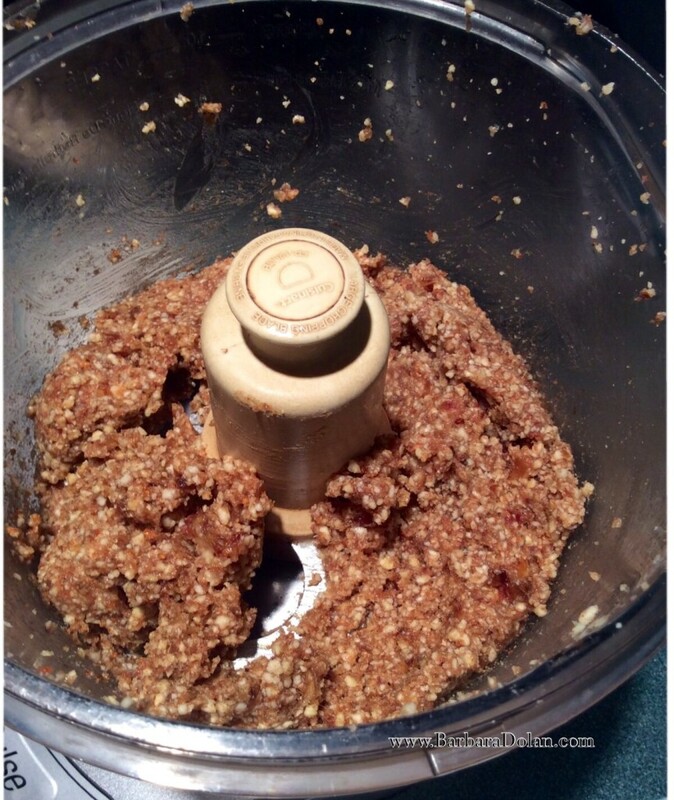 Chop the soaked dates and add to the almond meal. Pulse until a sticky dough forms. If making individual cakes, divide the dough into 12-16 balls. 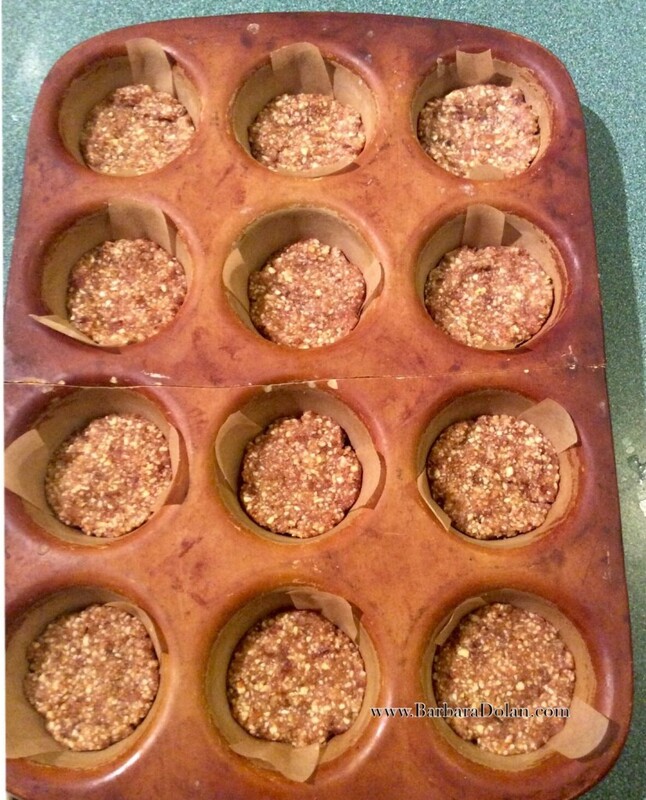 Flatten with your hands, to form small circles that will fit in the bottom of the muffin tin. Put parchment paper in your muffin tins and place the circles in the bottom of each tin. Set aside. In your food processor, put (remaining ingredients) cashews, lemon rind, lemon juice, melted coconut oil, coconut meat, maple syrup and vanilla. 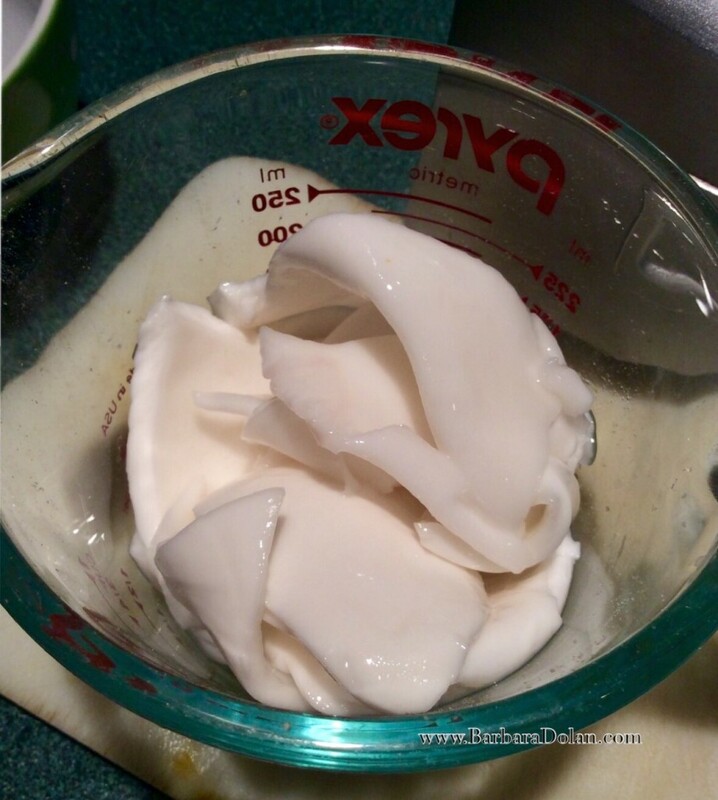 Process until you have a smooth, creamy mixture. Scoop a heaping tablespoon or enough to fill the muffin tin ¾ of the way, into each muffin tin. You may have filling left over (darn!). Have it for breakfast. Scoop some raspberry sauce on to each cake. Place in the fridge for a few hours. Remove from the tin and serve. May be stored in the fridge for up to 5 days. May be stored in the freezer (be sure to bring to room temperature before serving) for up to 2 weeks. This is a picture of the plan of the week for my family. Right now during the week, it is myself, my 17 year old son and my 12 year old daughter. My husband works a lot during the week and my eldest daughter is away at University. I made this plan on a simple whiteboard that stays in the kitchen. When the kids get home, they can see what time I will be home, what the dinner plans are and if there are other things going on. It works quite well. If I am at work and they don’t know how to prepare something, then I can explain what they need to do. New recipes are written in ‘The Gold Book’ for future reference. I feel that it goes without saying that organization is the key to successful menu planning. Having a clean and well-organized kitchen will encourage you to spend time there and create beautiful dishes for yourself and for your family. 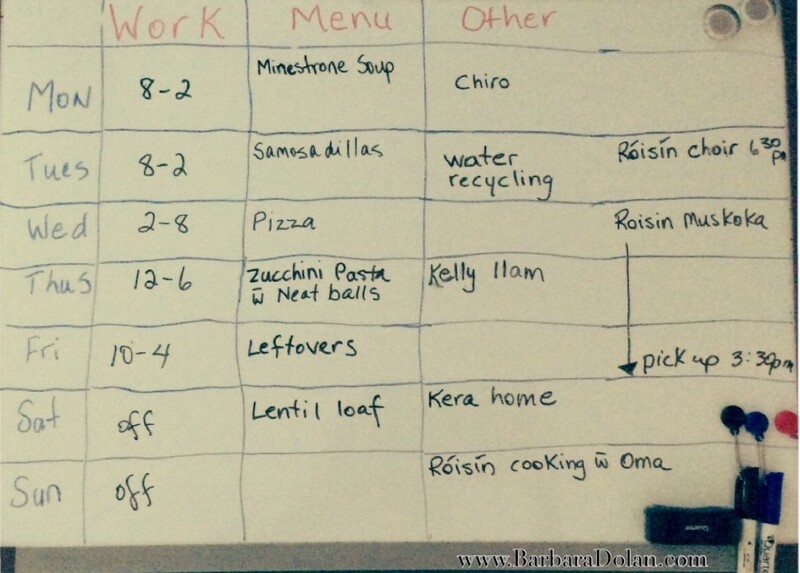 Balance is also important to planning a weekly menu. the dietary needs of your family. I splurged and bought beautiful organic strawberries this week. I really wanted to just eat all of them but decided that I had better share with my family. So I made this pudding for dessert tonight. I had some for breakfast too but don’t tell anyone. Chia seeds have amazing health properties. This my 12th week back at work since my brain injury in September 2013. At the time of writing, I am now working 5 hours per day, 5 days a week. I feel pretty good. Sure I am tired and have better days than others but for the most part, things are going quite well. I attribute this success mostly to my diet and lifestyle and of course a positive outlook. My eldest daughter does not enjoy preparing meals. I think she may even forget about eating until she is too hungry. This is often because she doesn’t want to take the time to make anything. She likes it to be ready. The calendar says that Spring is here. 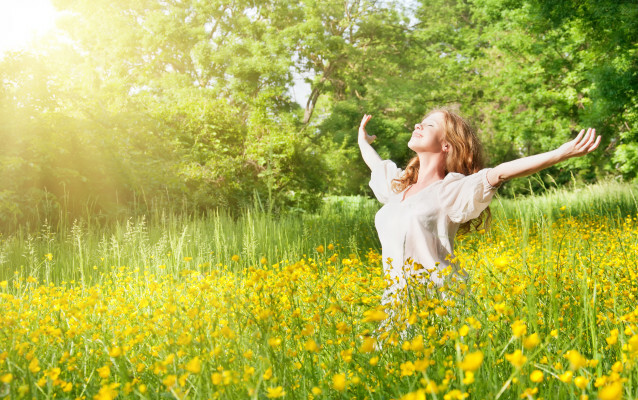 Spring is a good time to do some detoxing to improve your health, boost your metabolism and help renew your energy. 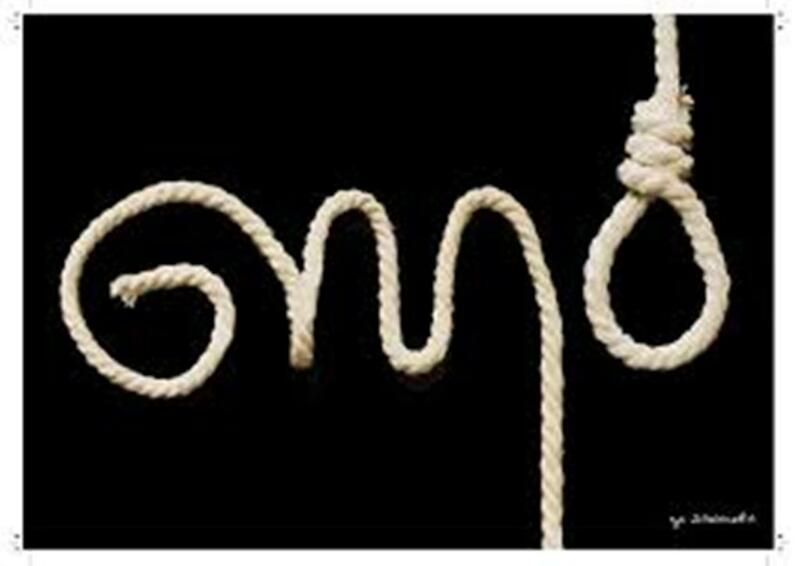 GMO. What’s the Big Deal, Anyway? Kathy on GMO. What’s the Big Deal, Anyway? Barbara Dolan on GMO. What’s the Big Deal, Anyway? Kelvin on GMO. What’s the Big Deal, Anyway?